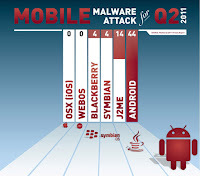 Previously Symantec claimed that Android is not more secure than iOS and now Anti-Virus maker McAfee have reported that iOS devices which include iPhone,iPod,and iPad still remain unaffected with the growing Malware attacks and viruses as compared to Android.The amount of malware targeted at Android devices jumped by 76% since last quarter, making it the most attacked mobile operating system. This year we’ve seen record breaking numbers of malware, especially on mobile devices, where the uptick is in direct correlation to popularity. What about malware on iOS? So far, while Android malware has spiked (with 44 cases in Q2), iPhones, iPads, and iPod Touches have remained safe and untouched. Apple’s iOS may offer a significant amount of security, but jailbreaking your phone or iPad removes that safety net, potentially making it as vulnerable as an Android device. 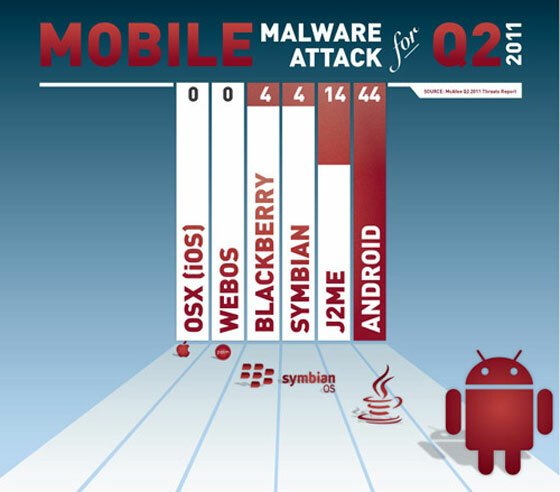 0 Respones to "McAfee Reports iOS Is More Secure Then Android"